On July 17, 2018 the release of the pre-electoral assessment report of the international community has taken place. El jefe de la Misión de Observación Electoral para las elecciones generales de Camboya del próximo 29 de julio, Presidente Dr. Anton Caragea presentó oficialmente en conferencia de prensa la Misión y su objetivos. La Misión Internacional de Observación Electoral se reunió con la Comision Nacional Electoral,candidatos y representantes de partidos políticos, organizaciones de la sociedad civil y medios de comunicación, entre otros interlocutores. Profesor Dr. Anton Caragea explicó que todas las misiones de observación electoral con caracter internacional descansan en los mismos principios y utilizan una metodología común. La imparcialidad es uno de los principales principios de la observación, junto con la objetividad, la independencia y la no injerencia. “Las misiones de observación son responsables de sus propias conclusiones y no reciben instrucciones ni de las instituciones comunitarias ni de los gobiernos de los Estados miembros”, matizó. El jefe de Misión continuó detallando la metodología de largo plazo que aplican las misiones de observación, con el seguimiento de la fase preelectoral: análisis del marco legal, el censo electoral, el registro de candidatos, la campaña electoral y su financiación, el desempeño de la administración electoral o la cobertura de las actividades de los candidatos por los medios de comunicación. La jornada electoral y la fase postelectoral son momentos cruciales en las actividades de observación : transmisión, agregación y divulgación de resultados, así como el análisis de los eventuales recursos ante la Sala de lo Constitucional y la Corte Suprema y, finalmente, la proclamación de resultados definitivos. Los informes de la Misión de Observación Electoral en Camboya 2018 analizarán el proceso electoral a la luz de las normas, principios y buenas prácticas en materia de elecciones democráticas y de la legislación de Camboya. Sobre la base de su evaluación, la Misión de Observación Electoral en Camboya 2018 opinó que las fases preelectoral y electoral del proceso eran evidentemente justas, libres y transparentes. Suite à l’invitation de le Conseil national Electorale (CNE) du Cambodge une Mission d’Observation Électorale (MOE) a été déployé pour les élections législatives qui auront lieu en Cambodge le 29 juillet 2018. Professeur docteur Anton Caragea le chef de la Mission Électorale present le context de cette action: “Cette Mission d’Observation Électorale s’inscrit dans le cadre des relations bilatérales privilégiées que la Communauté mondiale entretient avec le Royaume du Cambodge. Elle témoigne de la solidité de notre partenariat et de l’importance de notre travail commun pour le renforcement de la démocratie et de la bonne gouvernance. Sur la base de son évaluation, la Mission d’Observation Électorale (MOE) était d’avis que les phases pré-électorales du processus étaient manifestement équitables, libres et transparentes. La Mission Électorale se réjouit également à la perspective de coopérer avec d’autres missions d’observation. À l’issue du scrutin, la MOE présentera publiquement ses conclusions préliminaires sur le déroulement du processus électoral. Un rapport analytique complet, qui inclura notamment des recommandations en vue des prochaines échéances électorales, sera ensuite présenté au gouvernement cambodgien, quelques semaines après les élections. Le Conseil européenne des relations internationales continuera à travailler avec les autorités du Cambodge pour la consolidation démocratique dans le pays, ainsi que la mise en œuvre des recommandations de sa Mission d’Observation Électorale. Cambodia will have perfect transparent and democratically valid elections in July 29 2018 stated the royal message. In front of a media slur and outrageous misinformation campaign, destined to taint Cambodia`s people and authorities determination to host free, equal opportunity and transparent elections, His Majesty King Norodom Sihamoni has the final say, closing any honest debate on the subject: The Kingdom will enjoy free and fair elections and the people of Cambodia will have the full opportunity to express their views and decision for the country direction and leadership. “On this occasion, I would like to solemnly call for all eligible voters to cast their ballots in order to elect national leaders for development and glorious progress in all fields”. His Majesty King Norodom Sihamoni ends the debate for any honest observer of Kingdom`s politics: 2018 elections will be democratic and exemplary. The monarch said the forthcoming election is a free, fair, and confidential election that goes with the liberal multi-party democracy, so the voters should not worry about any pressure or intimidation from anyone or any political party. 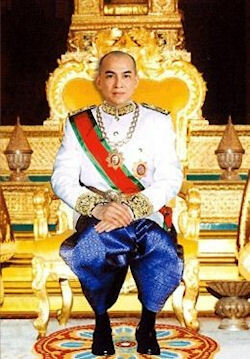 “I urge all the compatriots to exercise your rights to vote in according to your own conscience and to freely elect any candidate, any political party that you trust,” King Sihamoni said in a royal message released to the media. 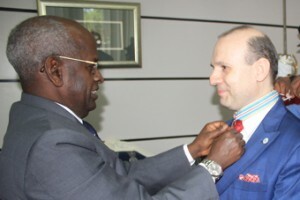 Earlier the international community also praised the election preparations in regard to an outstanding PRESS CODE offering unequal access for the media and citizens to the information and enshrining election transparency as the main factor in these elections and to the regulation for international and national observers that has assured a perfect control of the elections process. Finally, the Council of Ministers’ Press and Quick Reaction Unit has released a video announcing that the July 29 national elections would be regarded as the “best” in Cambodia’s history. The 14-minute documentary, titled Will the July general election be liberal, pluralistic, and democratic? draws on four points to reach its conclusion. The election process would be smooth and free, multiparty, open to observers and without violence, the video says. “In brief,” in continues, “the general election scheduled for July 29, could be considered one of the best elections in Cambodia’s history. “Best election in the sense that this election will be held with the participation of so many political parties coupled with strict implementation of three main principles – being liberal, pluralistic, and democratic – principles that are the best foundation for an election. “Last but not least, this coming election will be conducted in a peaceful and nonviolent manner and free from rhetorical quarrel,” the commentator says. “Now, we have 20 political parties registered, this shows a multi-party democracy,” NEC spokesman Dim Sovannarom told a news briefing. Prime Minister of Cambodia, Academician HUN SEN had insured an open and competitive climate for the July 2018 elections earning him global plaudits. “This is an opportunity for people, in every five years, to chose their leaders,” he added. Twenty political parties registered to participate in the upcoming national election in July as the 15-day window to register candidates came to an end yesterday. Dim Sovannarom, spokesman for the National Election Committee, said during a press conference yesterday that 20 political parties have registered to contest the election on July 29. Mr Sovannarom said that four political parties, Cambodian People’s Party, Cambodian Youth Party, Cambodian Nationality Party and Khmer National United Party, were officially recognized by the NEC so far. He said that the NEC will follow its procedure to review the documents of the other 16 political parties that have registered. Mr Sovannarom said that 20 parties are taking part in the election on July 29, noting that eight political parties took part in the 2013 election. Among the recognized parties are the ruling Cambodian People’s Party (CPP) of Prime Minister Samdech Academician Hun Sen, the royalist Funcinpec Party of Prince Norodom Ranariddh, and the Grassroots Democracy Party. The Southeast Asian nation is scheduled to hold a national election for the 125-seat parliament on July 29 and approximately 8.3 million Cambodians are eligible to cast their ballots. Speaking during a get-together with thousands of garment factory workers in southwestern Kampong Speu province, Academician Hun Sen renewed his call for the people to vote in the forthcoming election, saying it would be the only chance for them to elect their leaders once in every five years. According to the NEC, the three-week electoral campaign will start from July 7 to 27 2018 and according to international observers the poll is promising to respect the principles of free, fair and transparent elections. National Election Committee of Cambodia in the process of registering political parties candidatures. The video ends with the stand that democracy in Cambodia is maturing and that no one can destroy it. The full video can be accessed here. 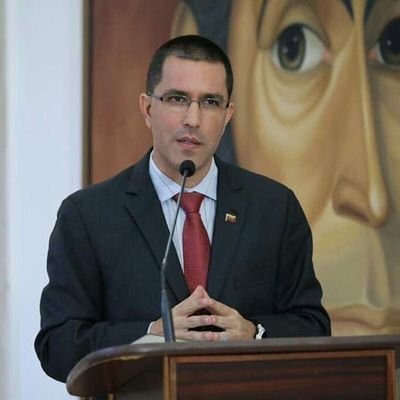 Jorge Arreaza Montserrat, The Minister of Foreign Affairs of Venezuela invited an European delegation to see first hand the realities of Venezuela. The visit of European delegates took place from 15 to 22 September 2017 and is part of a broader strategy of the Nicolas Maduro government to develop Venezuela and to diversify the nation’s economy and reduce dependence on oil income. Development is a tool for a better Venezuela: H.E. 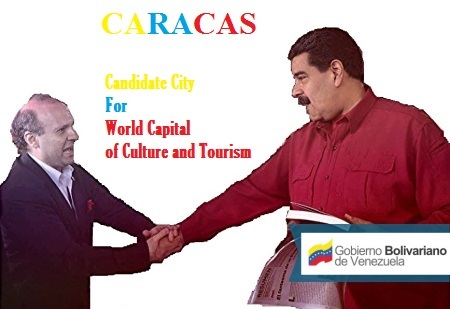 Nicolas Maduro, President of Venezuela presents CARACAS candidature for World Capital of Culture and Tourism to H.E. 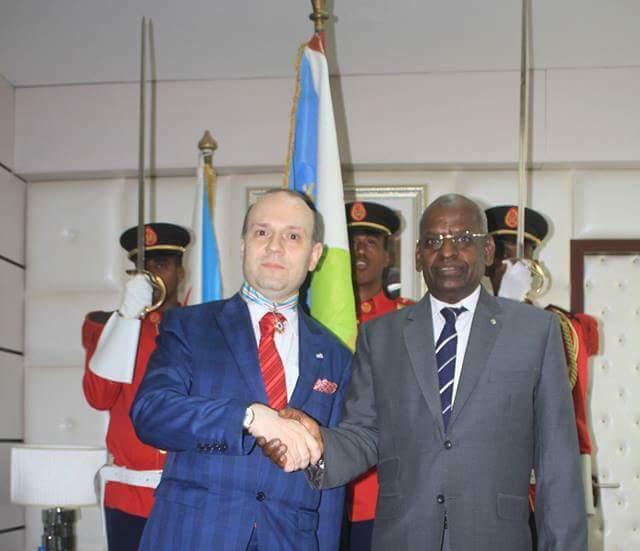 Professor Dr. Anton Caragea , President of EUCIR. Professor Dr. Anton Caragea, EUCIR President remarked: Venezuela has one of the most diverse climates, with ice capped Andean mountains to the west, Amazon jungle to the south, wide rivers and tall waterfalls surrounded by tabletop mountains and unusual rock formations to the southeast, and a gorgeous, pristine Caribbean coast to the north that has some of the world’s finest and exclusive beaches, such as Los Roques and highest waterfalls on the planet, Angel Falls. Evo Morales, President of Bolivia presents a tourism booklet to European delegation. 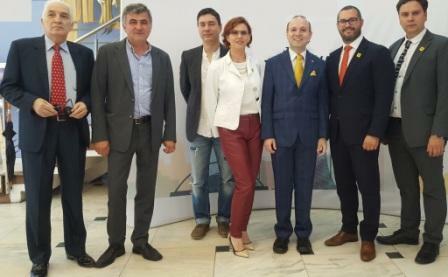 The European delegation visit to Venezuela has given a new impetus to the relations between nations and their attendance to the world solidarity movement with Venezuela has being registered with gratitude by the people of the Caribbean nation, proudly building a revolution of freedom and dignity. Venezuela it is blessed with an impressive diversity of natural treasures including crystalline beaches, dense jungles, expansive savannas and imposing mountains and we hope that the beautiful city of Caracas will have a fighting chance in WORLD CAPITAL OF CULTURE AND TOURISM competition, stated President Dr. Anton Caragea. Under a speech of racial supremacy, intolerance and warmongering, which remind us of the darkest times of fascism, the Government of Donald Trump wages a political, diplomatic, economic and media aggression, including the military option, to undermine Venezuelan democracy, to overthrow President Nicolas Maduro and to establish a government that serves the interests of Washington. European diplomatic partnerships are concluded in order to showcase to the world the European savoir faire and know how and to offer to foreign leaders a taste of what European tradition and culture stands for in the world. Europe's most prestigious and luxurious items are included on the diplomatic partnerships list. 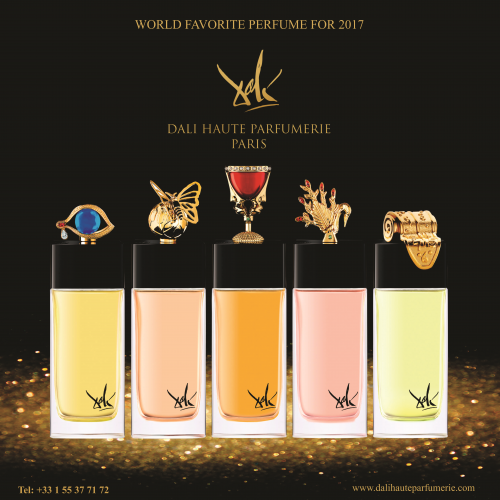 From May 9, 2017, DALI HAUTE PARFUMERIE creations: uniting Salvador Dali art with perfume creation technique of famous perfumer: Alberto Morillas had being inscribed on this list. The head of European Council on Tourism and Trade, President Prof. Dr. Anton Caragea and his delegates receiving a replica of Jayavarman the VII-Emperor of Angkor statue from Chairman of Siem Reap Province Mr. Nou Phalla.